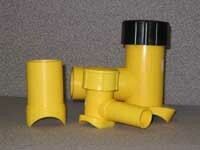 RPH Distributors Ltd. has been serving the Oil & Gas Industry for 40 years. We have offices accross Canada to serve you better. 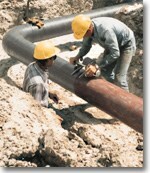 We service water, natural gas, geothermal, and oil patch industries, We distribute and stock a wide range of products. We are distributors for CHASE CORPORATION( Tapecoat & Royston Corrosion protective coating products), Glas Mesh Inc., Highfield Manufacturing Inc., JM Eagle Geothermal Pipe & Fittings, R.w. Lyall Co., Mueller Canada, Romet Limited & Rhino Marking Products. These are just a few companies we represent. Please see products for more information. We look forward to assisting you with your requirements.